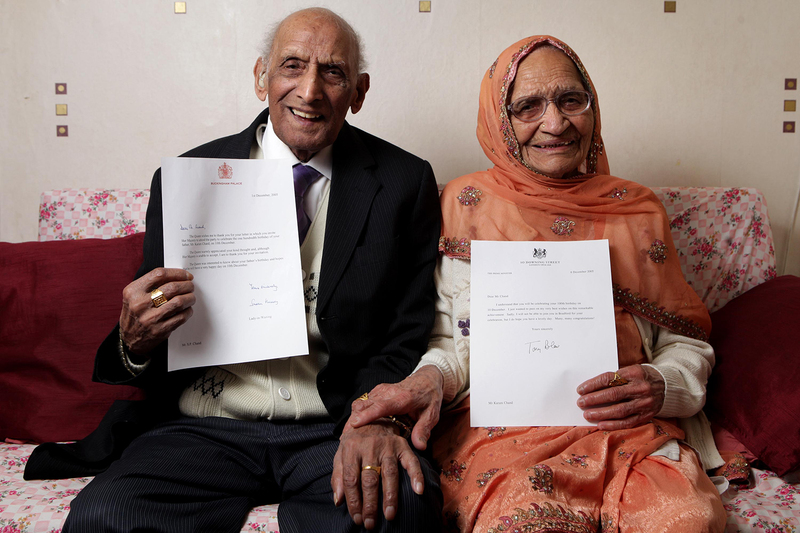 Meet the world’s oldest married couple! 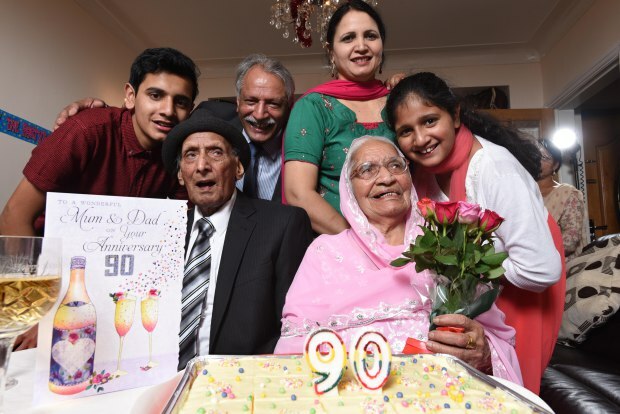 They are celebrating their 90th wedding anniversary today in Bradford, West Yorkshire, England, UK. Please, scroll down for photos and video below! 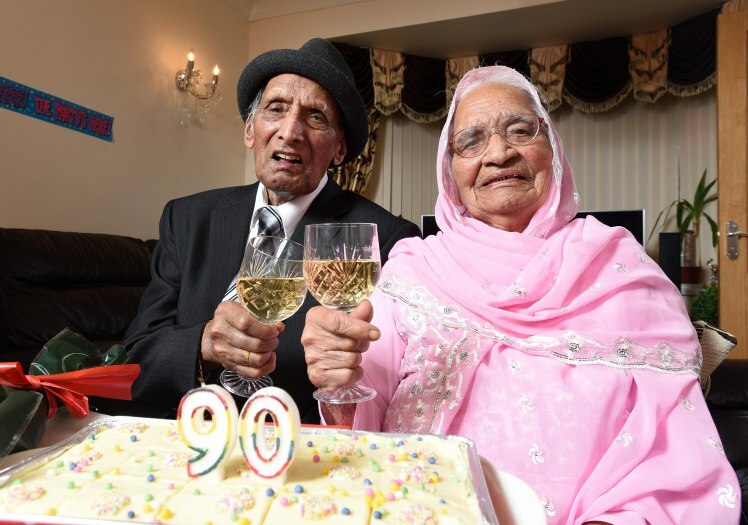 Karam Chand, 110, and his wife Kartari Chand, 103, tied the knot 90 years ag0 in a Sikh ceremony in India. And today, on December 11, 2015 they are still together and happy in love. They moved to Great Britain in 1965 and now live with their youngest son, his wife and their children. Both record-holders were born in November and last month celebrated their joint birthdays with four generations of their big and united family. Kartari and Karim have eight children, 27 grandchildren and 23 great-grandchildren! According to local media reports, the couple also actively participate in the city life. Last months they opened a new shopping centre, The Broadway, and even led their community in the annual Girlington Parade. So, what’s their secret to long-lasting life and a happy marriage? Karam and Kartari have said that beyond eating a diet free of anything artificial, they both focus on doing three things: having no secrets, trying not to argue, and spending each day surrounded by family. Emir Of Kano, Sanusi Lamido In danger? Previous articleTB Joshua Named 2015 Yoruba Man Of The Year! Long life in good health. I tap ur blessing.